Hello, everyone! Hope everyone is doing OK today. For the next couple of posts, I will be posting from the road. I am attending a conference, and will be posting at random times during the conference. Actually, more like after the conference and I am back at my hotel room. Ha ha! In any case, I had to buy a box of cards because I am an idiot, and I forgot to bring cards with me. For speed and ease, since some of these will be posted from my phone, I will add managers and photos as I can. Sorry! But, that means good news for everyone getting cards! 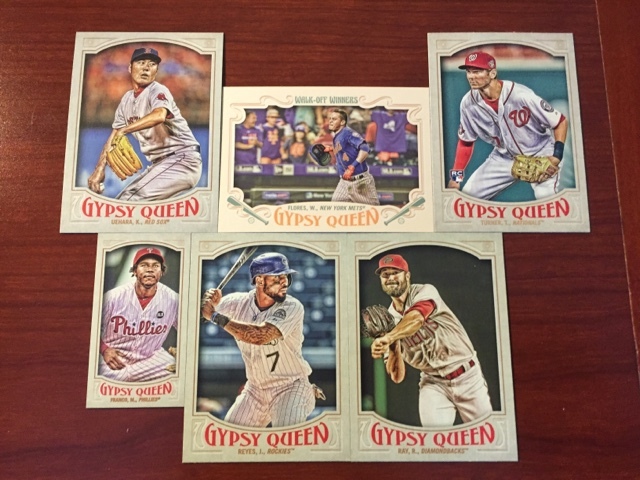 I bought a box of 2016 gypsy queen. Wahoo!! Congrats, folks! By the way, the box has 8 packs, so I will either bust all 8 packs or will buy some variety while I am here. You never know! That is my very first 2016 Red Sox card.